Looking for a speaker? Let us help you. We will respond back to you as quickly as possible. On April 15, 2013, what is referred to as Marathon Monday in Boston, Heather Abbott of Newport, RI was struck by shrapnel from the second of the two bombs, which severely injured her left foot. Heather was faced with the agonizing decision of whether to try to save her left foot or to allow doctors to amputate her left leg below the knee. Just four months following the bombing, she was living independently and returned to her job as a Human Resources Manager. Within the first year following her amputation, she started participating in the activities she loves, including paddle boarding, running and wearing high heels. She has become certified as a Peer Counselor by the American Amputee Coalition. In addition, she is founder of the newly formed Heather Abbott Foundation, which provides prosthetic devices to limb loss victims of traumatic circumstances. Heather has remained a model of strength and resilience. Now a motivational speaker, she is sharing her story with audiences across the country and inspiring others with her contagious optimism and thoughtful reflection on her journey. On April 15, 2013, Marathon Monday in Boston, 38 year old Heather Abbott of Newport, Rhode Island set out on an annual tradition with several of her friends. They would attend the Red Sox home game and then walk over to Boylston Street to watch the marathoners cross the finish line. Little did Abbott know—this day would change her life forever. Two bombs exploded in the crowd of well-wishers that afternoon. Abbott was impacted by the second blast and literally blown into the entrance of a nearby restaurant. Former New England Patriots lineman Matt Chatham and his wife, Erin, saw Abbott in the bloody aftermath and carried her to safety. After three surgeries in four days, Heather was faced with an agonizing decision—face a lifetime of agonizing pain from her injuries or allow doctors to amputate her left leg below the knee. With the counsel and comfort of amputees who came to visit her in the hospital, and after much soul-searching, Abbott made the difficult decision to live as an amputee. Her recovery, as it is for so many other victims of traumatic injury, was a journey through pain, anger, fear, disbelief, self-doubt and questioning. For Abbott, the ability to move forward came through the support of family and friends, fellow amputees and the countless strangers who not only sent her cards and letters of encouragement—but who also generously donated to a special fund to help her transition and receive the customized prostheses she needed to live the life she once knew. Today, Abbott is once again doing everything she loves to do, including paddle boarding, running and even wearing high heels! Through it all, Abbott has remained a model of strength and perseverance. Her determination and passion to help other limb loss victims is evident in everything she does. As a certified Peer Counselor for the American Amputee Coalition, Abbott is able to provide hope and emotional healing. As a nationally-known motivational speaker, she reminds audiences of the power of positive thinking and the real impact compassionate giving can have on the life of someone in need. For Abbott, The Heather Abbott Foundation is both an obligation and an opportunity to “pay it forward”—to give other amputees who have suffered limb loss through traumatic circumstances the chance to live their life—again. Adopting three key life strategies led to living life again after suffering the amputation of her left leg in the Boston Marathon bombing in 2013. 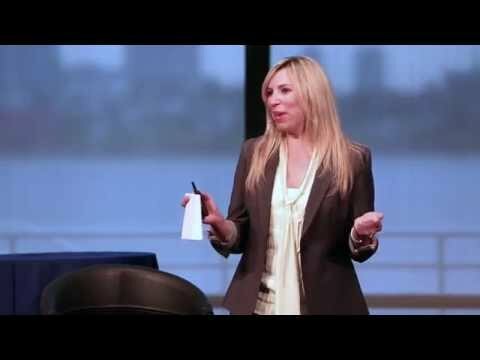 Hear Heather Abbott’s story of resilience following that tragic event—and learn how you can apply her life strategies to your daily living. You can “Live. Your. Life.” again, whatever your circumstances. We expect our health care providers to be skilled, experienced professionals who know how to nurse our wounds and treat our illnesses. But what about the less-talked-about side of medical care—the “softer side” of health care? Hear Heather Abbott’s story of recovery and the major impact individual providers can have on a patient’s recovery, especially those who have suffered traumatic injury. Sometimes the road to recovery is marked by more than just medicine. At the time of the Boston Marathon bombing, Heather Abbott enjoyed a high-powered career as a human resources executive with a Fortune 50 company. Key to her job responsibilities was a focus on equal employment opportunity, affirmative action and ensuring the hiring and retention of women, minorities, veterans and individuals with disabilities. Little did Heather know that one day she would become the very kind of employee she was entrusted to protect. Learn how Heather’s professional views changed as a result of her traumatic injury, and how all businesses today can benefit from her experience. Prior to the Boston Marathon bombing, Heather Abbott had a career she enjoyed, and the love of friends of family—yet something was still missing. It was, as Heather will tell you, a "passion" in her life—a "purpose" larger than self. Ironically, it would take something meant for evil to help Heather find true meaning to her being. Learn how you can uncover the purpose that will drive your life—and change the lives of countless others. Copyright © Key Speakers. All Rights Reserved.